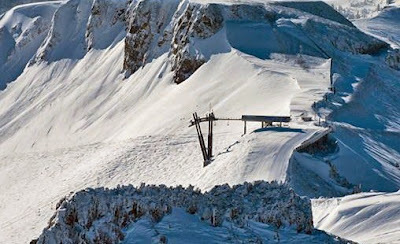 The 30 year-old Siberia Express chairlift. Squaw Valley has announced plans to upgrade their Siberia Express chairlift this summer to improve efficiency, reliability, and operational effectiveness. The new chairlift should be ready for the 2015/2016 season. The updated Siberia Express chairlift will remain in the same location for access to Cornice Bowl, Siberia Bowl, Mainline, and Gold Coast areas. The current Siberia Express detachable chairlift was installed in 1985.